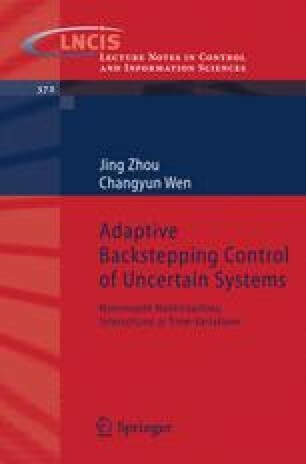 In this chapter, we present a new scheme to design adaptive controllers for uncertain nonlinear systems in the presence of input saturation. Similar to previous chapters, the developed controllers do not require uncertain parameters within a known compact set. Besides showing global stability, transient performance is also established and can be adjusted by tuning certain design parameters.